ᴛʜᴀᴛ ᴊᴜsᴛ ᴡᴀsɴ'ᴛ ᴏɴ ᴛʜᴇ ʟɪsᴛ." 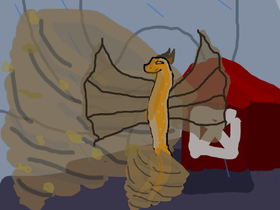 Warrior cat or Wings of fire chat room for everyone! Which Wings of Fire Character Is Most Like You?